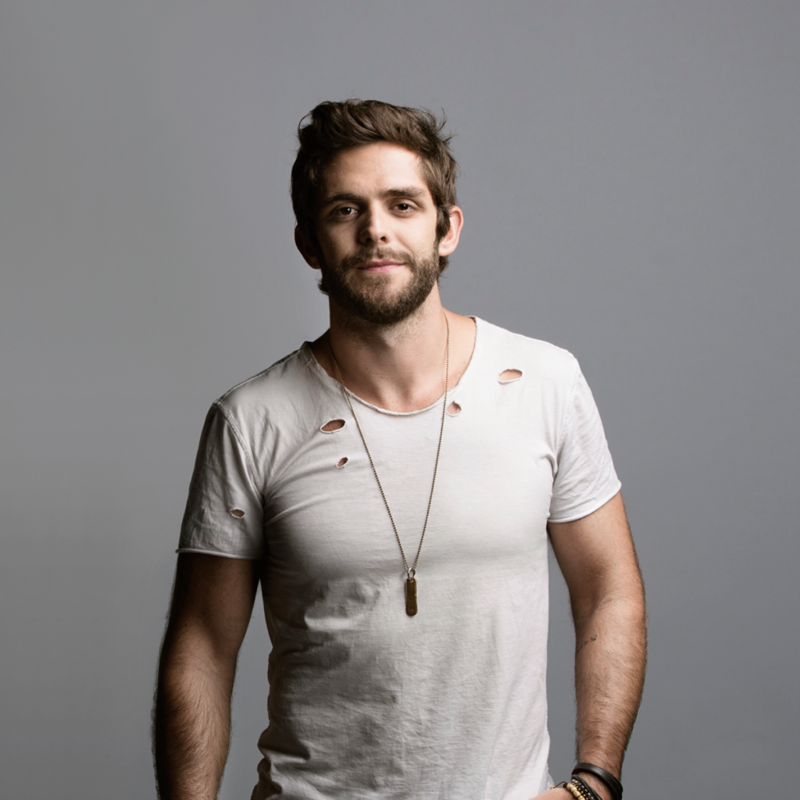 Years before he kicked off his career with It Goes Like This, a debut album that spawned five Top 40 hits and three Numbers Ones, Thomas Rhett spent his childhood listening to the sounds of FM radio. “Growing up, there was no such thing as listening to one radio station,” he remembers. Instead, Thomas Rhett would regularly flip from one station to another, cranking up a mix of country, pop, R&B, rap, rock, and oldies. It was a tangle of music. Decades later, he’s tipping his hat to those days with Tangled Up, an album that mixes the sound of his influences with equal doses of groove, melody and twang. Although recorded in his hometown of Nashville, Tangled Up was written all over America, during a year-long tour in support of Thomas’ first album. There was something about the highway that made him feel creative. Something about the crowds that made him feel inspired. Something about the sold-out shows that made him want to return to the tour bus and write something exciting. With help from a handful of co-writers, Thomas whipped up a new batch of songs during the hours before soundcheck, after the encore, and during the long rides from one city to the next. Maybe that’s why Tangled Up feels like such an upbeat, energetic record. It was created while Thomas’ body was still flushed with adrenaline. You could say the same about Tangled Up. Produced by Dan Huff and Jesse Frasure, the album is filled with party anthems, dance tunes, drinking songs, love ballads, and everything in between, all tied together by a dynamic singer who’s unafraid to blur the lines between genres. Some songs take their influence from country stars like Eric Church. Others are more reminiscent of pop idols like Justin Timberlake or Bruno Mars. None of the tracks sound alike, but they do all sound like Thomas Rhett songs.